DealiciousKorea: Can Kakao Page be the Korean iTunes? Kakao Page is the world's first mobile contents platform that allows anyone to upload various digital content and market their brand. Through using Kakao Page web editor, one can easily create content, which can be quickly spread through among friends on Kakao Talk. Another unique quality of Kakao Page is the pricing structure. The creator of content is able to charge viewers any price. As Kakao Page becomes a channel for profit, Kakao hopes to see high quality content consistently being created and viewed on Kakao Page. Story Plus will allow business owners to use Kakao Story without any limitation on the maximum number of friends. Kakao Story is now a representative mobile application in Korea along with Kakao Talk. Through Kakao Story's Story Plus, businesses in Korea will be able to maximize its marketing and promotion efforts with their Kakao friends. Chatting Plus will allow Kakao Talk users to directly connect to other applications while chatting. What this means is that you can share a variety of content (e.g., maps, games, music, etc.) provided by applications registered on Chatting Plus through your chatting screen. Chatting Plus will enrich both the mobile communication experience by Kakao users as well as application developers. Of all these three new developments, what draws the most attention is Kakao Page, which is the world's first mobile contents sharing platform. Whether Kakao Page will become the Korean version of the iTunes is a reasonable question to ask. According to a research by NPD Group, Apple's iTunes dominates 64% of the digital music market in the US (2Q, 2012) and 29% of the entire music industry (2Q, 2012). iTunes is also growing influence in the eBook market. iTunes now has more than 30% of market share in the eBook industry and is quickly catching up with Amazon. In the online video market, iTunes has 65% of market share. The dominance of iTunes is only expected to grow as Apple continues to release more iPods, iPads, and iPhones. By the end of 2011, iTunes contributed to 6.3 billion USD or 6% of Apple's total revenue. Will Kakao Page take over the Korean content market? So, will Kakao Page become the leader of the contents distribution industry in Korea? For now, the answer seems to be "yes". Kakao has a lively society in Korea similar to that of iTunes. The difference is that while iTunes primarily markets to about 400 million iOS devices, Kakao will be basing its services towards the 62 million Kakao Talk users. Kakao Talk's market power has already been proven through Kakao Talk games. Kakao Talk games have recorded significant revenue over the months. On August, the first month of Kakao game's launch, 470 million won of revenue was earned, following 1.4 billion won in September and 4 billion won in October. There are currently 31 games registered on Kakao Talk, and 3 of them (Anipang, Candy Pang, and Dragon Flight) each have more than 10 million users. It only took Anipang 39 days, Candy Pang 28 days, and Dragon Flight 26 days to reach this many users, and their success proved Kakao Talk's competitive strength in the mobile content industry. No other contents distribution platform in Korea has as many users as Kakao Talk. Just with its high number of users, we can easily predict that Kakao will be a dominant player in Korea's contents distribution industry. Until recently, most content was shared on personal computers. However with the increasing usage of smart phones, we can say that content will now be created, viewed, and shared on mobile. According to IDC, worldwide production of personal computers decreased by 8% compared to 2011. Furthermore, usage of web search decreased by 4% since 2011. From these results, we can conclude that the mobile era has now begun, and personal computers' dominance as a content distribution channel is to end. Kakao Talk's simplicity and practicality led to its success in the mobile world, and based on Kakao's expertise in mobile optimization, Kakao Page is likely to become a successful mobile platform with global competitiveness. Kakao Page is an open platform that will allow anyone to create, market, and sell digital content. As people continuously create high quality content to market their brand and make profit, Kakao will benefit from having such an active group of users. Such a way of operating the open platform system is similar to the way Google Android was able to quickly catch up to the iOS. Being an open platform is also consistent to how Kakao has always run its business. Unlike previous Internet portals that created content all on their own, Kakao cooperated with other IT ventures to diversify its services. It will be exciting to see Kakao Page grow with creative and extensive content developed by various users. Because Kakao Page will be connected to Kakao Talk, sharing content with friends will be easier than ever. Giving and receiving content as gifts is more personal on a mobile environment than on personal computers. The gift giving platform on Kakao Talk grew by 93 times over the last two years from having 90 gift options to 9,000. How the content platform will grow on Kakao Page will be exciting to watch. However there are some obvious limitations to Kakao Page's growth as a content distribution platform. Kakao's database is composed of names and the phone numbers of its users. Since its database is not based on users' IDs, there may be certain issues with viewing the purchased content on a non-phone device such as a tablet PC. Users may have to watch lengthy videos or read eBooks on their phones simply because the content is not transferable to other devices. This is a weakness Kakao has compared to Apple's iTunes and Google's Google Play. 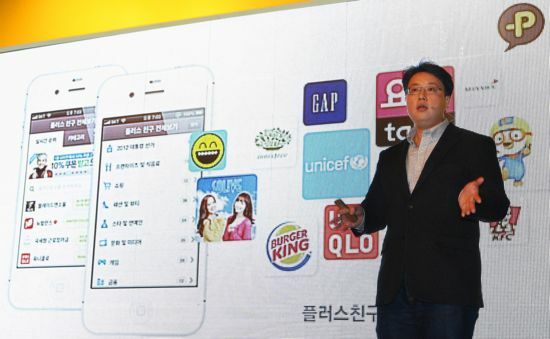 Another challenge Kakao Page will face is Apple and Google's In App Purchase (IAP) policy. Apple announced in 2011 that any digital content to be distributed on an iOS application will be paid through Apple's own payment gateway, and the creator of the application will need to pay 30% of the price to Apple as a fee. More recently, Google has also announced a similar IAP policy. When a content creator uses Kakao Page to upload content, he/she will need to pay a fee to both Kakao and iTunes or Google Play (depending on where you downloaded your Kakao Page from). This may discourage content creators from using Kakao Page especially if they don't find the fees to be "woth it". Kakao therefore is under a heavy pressure to show its users that Kakao Page's services will be worth the cost. Would you use Kakao Page or its other two projects? Why or why not? Let us know through commenting below! MBAH RADEN MALOMO memang memiliki ramalan GHOIB” yang dijamin 100% tembus.